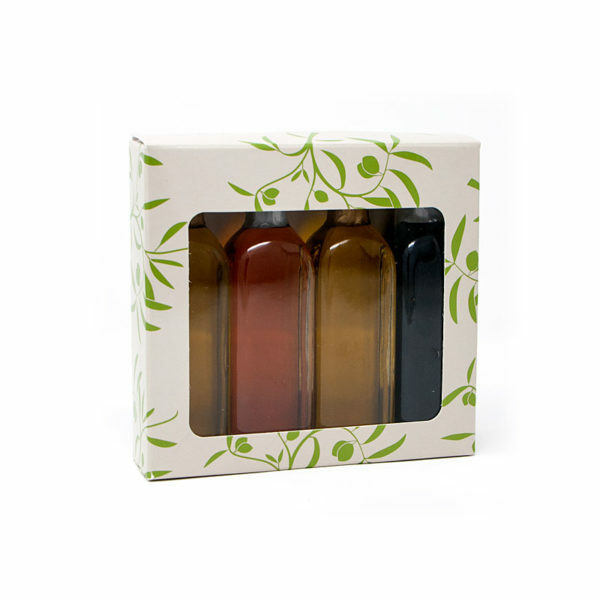 This sampler set of 4 mini (60 mL) bottles of oils and vinegars makes the perfect gift! A selection of our top-selling olive oil and aged balsamic vinegar combinations perfect for salad dressings, bread dipping, marinades, and much more! A great way to experience new flavors and explore new recipes. Wrapped for gift giving, this sampler set is packaged in our elegant window gift box. Perfect for corporate gifts, foodies, and the impossible to shop for.